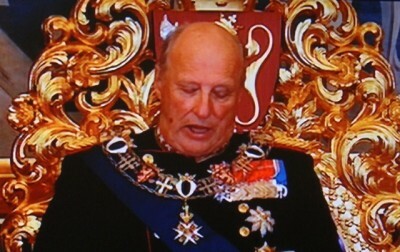 Norway’s King Harald V went along with the recommendations of Norwegian military intelligence officials and has bestowed in recent years one of the country’s highest royal decorations to three of the men now viewed as responsible for the US’ controversial surveillance programs. Newspaper Aftenposten reported on Thursday that three of the men who helped build up the US international surveillance system have received the Norwegian monarch’s so-called Fortjenstorden (Order of Merit), which was created by the late King Olav V, the current king’s father, in 1985. The surveillance system was publicly revealed this past summer by whistle-blower Edward Snowden and has sparked concern worldwide over the extent of US spying on both its enemies and allies. Norwegian authorities have been reluctant to criticize the surveillance carried out by the US, also with potential Norwegian targets. Now it’s reported that King Harald has even hailed those behind it, but not necessarily with knowledge of their controversial surveillance himself. Aftenposten reported that retired US General Michael Hayden, who headed the CIA from 2006 to 2009 and the National Security Agency (NSA) before that, was decorated with the Royal Norwegian Order of Merit’s Star of the Commander’s Cross by King Harald as early as 2004. General Keith Alexander, who took over as NSA chief in 2005, received the same honour in 2011 and James Clapper, US national director of intelligence, received the royal Norwegian decoration just this past April. The royal honour can be conferred on both foreign and Norwegian citizens, and is awarded in recognition of “outstanding service in the interest of Norway.” Nominations for the royal decorations are usually submitted through the protocol department of Norway’s Foreign Ministry. Defense spokesman Bent Ivan Myhre told Aftenposten that “without the critical contribution from our allies, especially from the US, it’s clear that more Norwegian lives would have been lost during our operations in the Balkans and in Afghanistan.” Myhre said it was “natural” for Norway’s military intelligence unit “to express its gratitude to its allies” by arranging the royal decorations. 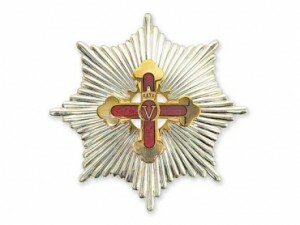 Rotevatn added that he thinks the entire system of royal decorations hearkens back to the Middle Ages. Bjørnar Moxnes of the Reds party (Rødt) agreed and thinks the royal decorations to the men responsible for US spying should be withdrawn. Jan Arild Ellingsen of the Progress Party (Fremskrittspartiet, Frp) disagreed and sees nothing problematic with the royal honours.